Input Video Signal: 0.5-1.0 volts p-p. Supports 3D (If your devices support 3D). Supports compressed and uncompressed digital audio formats including 7.1CH LPCM, DTS-HD and Dolby True HD. 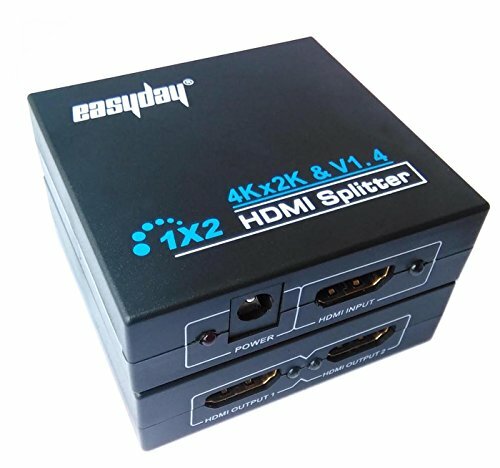 Cascaded: Large distribution achieved by cascading more HDMI Amplifier Splitter. If you have any questions about this product by Easyday, contact us by completing and submitting the form below. If you are looking for a specif part number, please include it with your message.